The Damore Dilemma: Is Google Prejudiced Against White Men? These are the controvesial words of former Google employee James Damore. In August 2017, Damore wrote a lengthy memorandum on the company’s internal messaging board, explaining how the biological differences between women and men justify the gender gap at Google and in the tech industry in general. He also argued that Google’s attempts at diversification are ineffective, and suggested alternative methods. Within a few days of the memo going public, Google fired Damore. In early January, Damore filed a lawsuit against Google, claiming the company discriminates against white, conservative men. Like most, I was initially shocked by Damore’s complaints. How could he say that Google uses illegal quotas to employ women, when the company still has a strong, 69 percent male majority? How can he complain about Google firing him based off liberal bias when his memo was blatantly sexist? But as I dug deeper into Damore’s case, I saw that the issue wasn’t so black-and-white. As I perused Damore’s 10-page memorandum, looking for harmful, sexist statements that would immediately justify his firing from Google, I realized I couldn’t find them. In fact, even as a girl interested in STEM, I found that many of his observations about the differences between men and women were, on average, fairly accurate. For instance, Damore noticed that women tend to have higher levels of “agreeableness” as well as “extraversion expressed as gregariousness.” Were there parts of the memo that I didn’t agree with, parts that I could imagine debating and countering with logical arguments? Sure. But would it be fair to call Damore a brutal male chauvinist? On the contrary, Damore advocated for increased diversity in tech, but questioned the rationale of Google’s “arbitrary social engineering” such as affirmative action employment and mentoring programs only open to certain genders or races. Damore argued that these programs are designed “just to make it [tech] appealing to equal portions of men and women,” with the hope of correcting Google’s long-criticized male majority. So why was Damore fired? It’s very likely that the decision stemmed not from the company leadership’s indignation with Damore’s opinion, but from fear. Amid rising criticism (and even a lawsuit) over the stagnant, disproportionately low numbers of women at Google, the company may have simply been afraid of the further backlash they would have faced had Damore stayed. 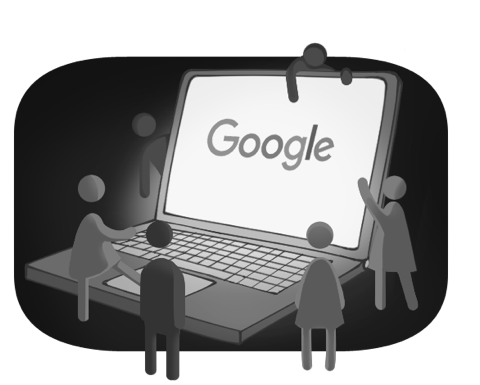 Google primarily uses at-will employment, meaning that, with a few exceptions, employers can fire an employee for any reason at any time. Additionally, free speech in the workplace is not protected under the First Amendment when it comes to private sector employees such as Damore. So it’s not clear whether Damore’s lawsuit has a firm legal foothold. However, the lawsuit certainly brings up the issue of intolerance towards dissenting speech at many Bay Area tech companies including Google. We should be able to openly talk about issues as sensitive as gender equality and diversity in a bipartisan way, without fear of being ostracized. Google firing Damore has done quite the opposite. At the end of the day, everyone agrees that there are disproportionately low numbers of women in tech. In late 2016, a study conducted by Accenture and Girls Who Code found that an overwhelming 82 percent of computer science majors were male, despite the fact that more and more women are going to college. There is no doubt that we should be encouraging women to pursue computer science if that’s where their interests lie. But we should also evaluate whether the attempts to “enforce” diversity as elucidated by Damore in his memo and lawsuit are helpful and moral, or if they’re sparking polarized discussions surrounding feminism at tech companies. And if so, we need to rethink the way we talk about gender equality in tech. What should entrepreneurs focus on?